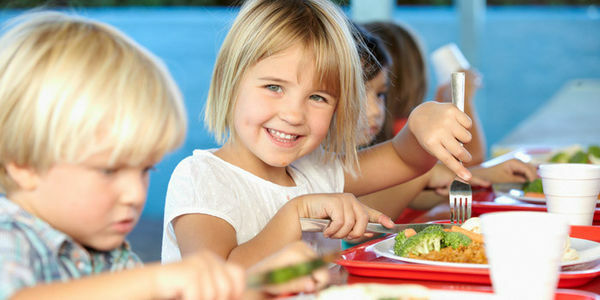 petition: Tell USDA: Don't Allow Unhealthy Foods Back Into Our Schools! Tell USDA: Don't Allow Unhealthy Foods Back Into Our Schools! Our kids' school lunches have gotten significantly healthier over the last seven years thanks to the Healthy Hunger Free Kids Act. The law ordered the Department of Agriculture to institute rules to improve the nutrition of school lunches across the country. As a result, our kids are finally eating 16% more vegetables and 23% more fruit! For a nation in which 1 in 6 of the children are either overweight or obese, these nutritional rules presented an exciting and real opportunity on the road to recovery. But the USDA has recently issued a new set of rules that will roll back the remarkable progress we have made. These new rules allow schools to bring unhealthy food and drink options back into cafeterias. Schools will now be permitted to serve sugary 1% flavored milk, serve higher-sodium foods, and allow exemptions to rules requiring whole grain-rich options. With almost 100% of schools already complying with the original nutritional standards, we should be building on the advancements we've made, not impeding them! Tell the Department of Agriculture to stop attacking the progress made on behalf of our children's health!